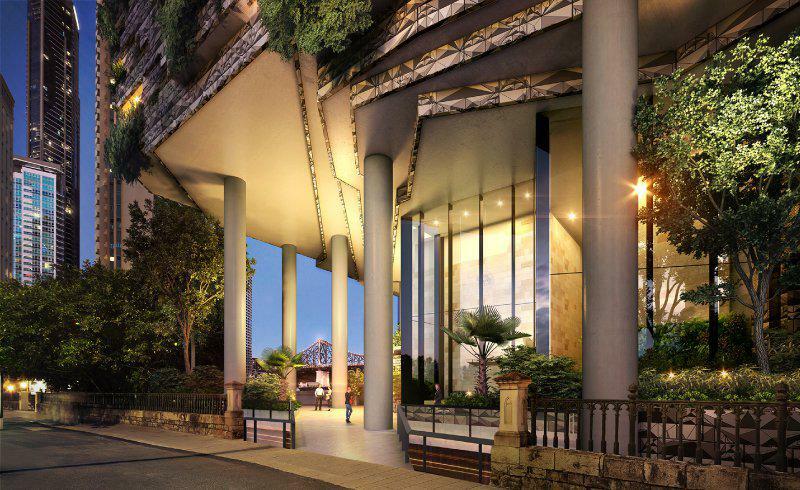 Cbus Property has appointed national contractor Probuild to carry out the construction of 443 Queen Street in Brisbane. 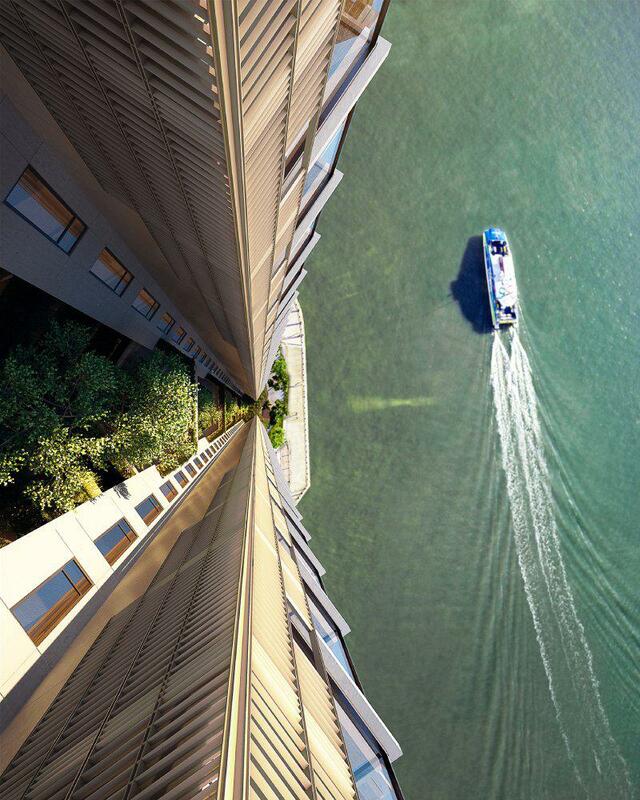 The 47-storey residential tower is designed by WOHA and Architectus as an urban, large-scale "reimagined Queenslander". The tower will occupy the site to the north of Customs House on Queen Street, at the edge of Brisbane's CBD. 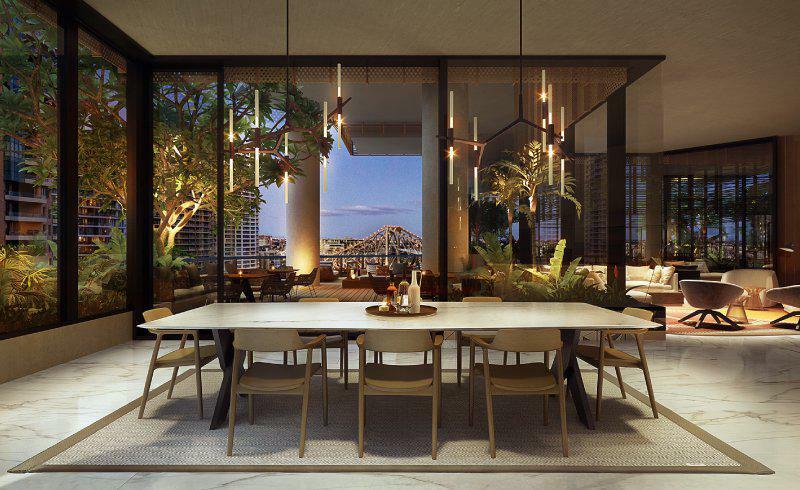 Cbus Property CEO Adrian Pozzo said research showed there was an under-serviced market demanding aspirational, larger apartments at the higher end of the design spectrum in the Brisbane CBD. In 10 months, more than half of the 264 apartments at 443 have been sold. Buyers have included young professionals and downsizers, who Pozzo states are craving impeccable apartments that offer generosity of space and high-quality, low-maintenance home with plenty of lifestyle options. “There are more than 1,000 square metres of communal spaces – areas for reading, yoga decks with river views, plenty of entertaining areas with BBQs including a chef’s kitchen, and the 25-metre lap pool surrounded by lush tropical gardens.” Pozzo said. Probuild will deliver the project under a design and construct contract, with construction anticipated to commence in September 2017 and completion in 2020. “This is an incredibly unique project for the City of Brisbane and Probuild is motivated and ready to bring it to life,” Probuild Queensland managing director, Jeff Wellburn said. “We are a leader in high-rise residential projects nationally, having both Sydney and Melbourne’s tallest residential towers on the Probuild workbook. We will be leveraging this experience to deliver at 443 Queen Street. “Cbus Property is a repeat client for Probuild and this appointment is a testament to our teams that are delivering iconic projects together, such as the new Victoria Police Headquarters in Melbourne,” Wellburn said. Architectus had originally been approached by Cbus Property to look at a number of key sites in the city, where the developer could apply the Architectus-led and researched concept of "subtropical urbanism". "Cbus Property were very interested in subtropical urbanism as they were focusing a large amount of investment in Brisbane and approached us with key ideas to explore potentials for a distinctive new architecture for Brisbane, on key sites they were interested in, and supported some of our early investigations and explorations in this area," design director at Architectus, Elizabeth Watson-Brown said. 443 Queen Street was inspired by the modest and highly functional design of the traditional ‘Queenslander’ house as a response to high-rise subtropical living. The building mimics lifted stilts, and has an inner core, protected by an outer climate modifier – the traditional verandah, breezeway, or sleep-out – that aims to creates the characteristic in-between living spaces. 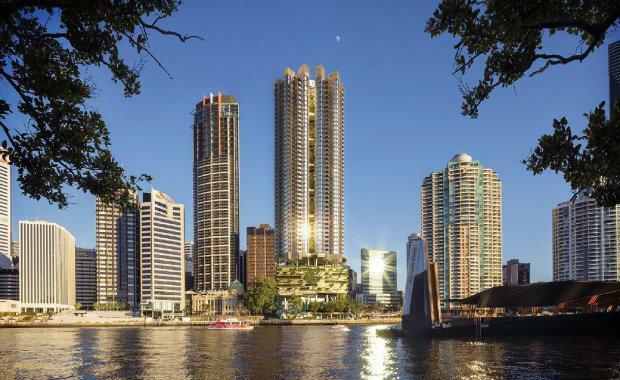 "The plan at ground is where you see the remarkably open public domain connecting Queen Street to the river’s edge with a series of terraced public gardens, a ‘River verandah’ achieved by absolutely minimising the building footprint." Watson-Brown said. Watson-Brown claims it was Cbus Property Development Manager, Michelle Fitzgerald who inspired the joint collaboration between Architectus and international architects WOHA to develop a new model of green high-rise apartment living that maximised the sites identity. "As well as a development manager, she is an architect with a deep knowledge, experience and commitment to the architecture of this city. "Richard Hassell and Wong Mun Summ of WOHA in Singapore are undisputed global innovators of green urban buildings for warm climates, and imagery of their built projects pepper the Brisbane City Council Design Guidelines and are key references in all discussions of tropical and subtropical architecture. "We immediately established a closely collaborative 50/50 working partnership with Richard and I as joint Design Directors, merging his international experience with our knowledge of the nuances of local culture developed over years of work on Brisbane residential projects." Watson-Brown said. 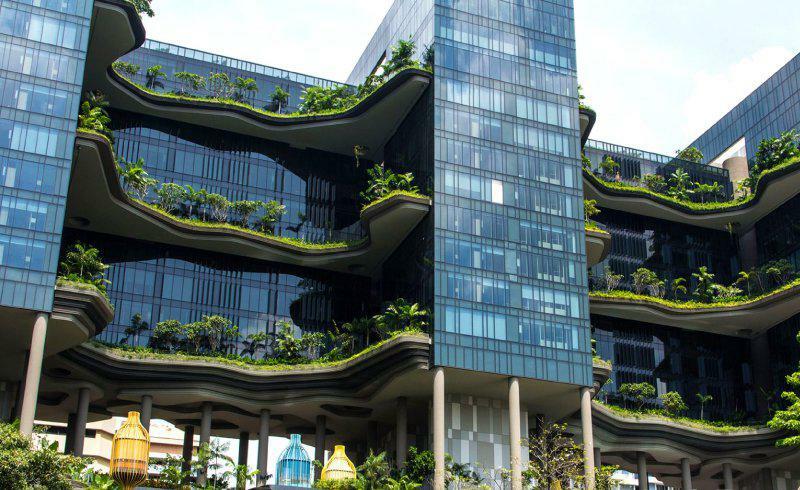 WOHA are responsible for the design of the PARKROYAL hotel in Singapore, of which 443 Queen Street drew inspiration from. PARKROYAL, designed by WOHAArchitectus and WOHA formulated from what their research suggested a residential subtropical tower should do and then magnified those principles into the 443 Queen St site. 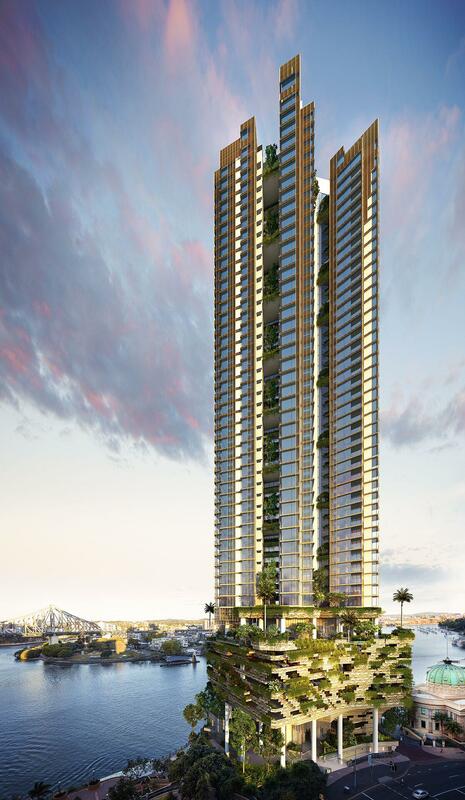 What should a Brisbane Residential Subtropical Tower do? -- Offer privileged views from private eyries. According to Watson-Brown it was important through such a rigorous design process for the architects to prove, with hard data, that subtropical urbanism works in the local context, and not just in the climatic context. This includes consideration of its success in terms of budgetary feasibility, buildability, regulatory framework, approvals process and programme. "It is powerful when an entity like Cbus Property decides to focus on our place and is prepared to invest very significantly in its future creating thereby a real economic boost, through the creation of many jobs and everything else that flows from that level of input." she said.